When German Chancellor Angela Merkel publicly stated that she hopes Emmanuel Macron will win the French presidential elections, few were surprised. Not only have both sides been in regular contact over the past months, but it also seemed unlikely that Merkel would refuse to back the only person still able to prevent a Marine Le Pen presidency. Nevertheless, if Macron wins on Sunday, which current polls suggest is likely, this will not only be a relief for Merkel, but will also put her in a difficult position. 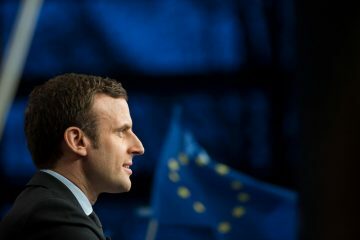 Macron, who has run on a decisively pro-European platform, will need to prove his ability to achieve reforms once elected. 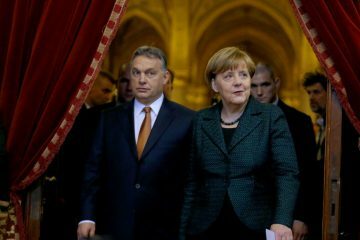 For his planned reforms on the EU-level however –– which most prominently feature a common eurozone budget and parliament –– he will rely on German cooperation. The problem? Until now, the appetite of Germany’s current government for Macron’s reforms has been rather low. During his short-lived term as French Minister of Economy and Finance, Macron pushed for further European integration. 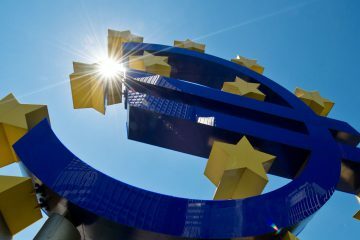 Together with Germany’s then-Minister of Economy, Sigmar Gabriel, he proposed a large-scale reform of the eurozone, providing the monetary union with a proper budget financed by new taxes, and thereby enabling it to pursue its own investments. 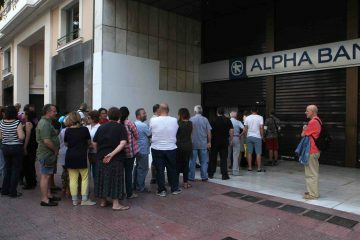 Together with increased social and tax convergence in the block, this was meant to cure the eurozone’s economic malaise, and answer repeated calls by leftist voters for a more ‘social union’. 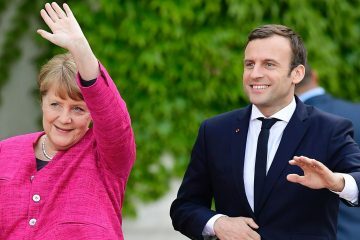 Neither of Macron’s reform proposals were popular in Berlin. Particularly, German Finance Minister Wolfgang Schauble rejected the French ideas for a eurozone budget. This is not the only eurozone-related issue on which French and German officials have clashed during the last two years. n The two countries’ positions diverged strongly on Greek bailouts, and the question of whether Germany’s high trade surplus is damaging other eurozone member states and should be lowered. Yet, should Macron become French president, Merkel and Schauble will be under pressure to look more favorably on his eurozone ideas. With a lack of parliamentary support, and strong opposition in the French political system towards his liberal reforms, Macron’s presidency would be weak from the outset, and hopes for quick domestic policy successes are limited. It will, thus, be crucial to his overall success to achieve at least some key reforms at the European level. If Germany continues to block Macron’s proposals, it would risk undermine France’s last bastion against Le Pen’s and Melénchon’s anti-EU populism. Despite Franco-German disagreement on how to take European integration further, a Macron presidency is a valuable opportunity for Berlin and Paris to revive their past relation as the EU’s leading axis. 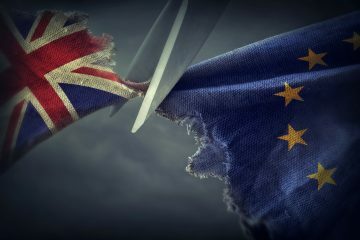 It could lend new stability to a union in crisis, and push through much-needed reforms on security, migration and the economic issues. To make this Franco-German tandem work, however, Berlin will need to make compromises. Macron can only survive if he achieves the reforms he promised. This gives Merkel the choice between either compromising on German interests, and agreeing to eurozone reform according to French proposals, or undermining her partner in Paris by blocking his reforms. Because of the fiscal conservatism of Merkel’s party, the centre-right Christian Democratic Union, and her finance minister, Wolfgang Schauble, the former option could have considerable political costs, and could further strengthen Germany’s eurosceptic and right-wing populist Alternative für Deutschland. Still, with Merkel’s tendency for pragmatism, finding a potential compromise that takes into account both French reform demands and German scepticism and fiscal conservatism, is plausible. The best Macron could hope for would be victory for Martin Schulz, lead candidate of the German social democrats and former president of the European Parliament, in Germany’s federal elections in September this year. As a strong advocate of further European integration, a Chancellor Schulz would play directly in Macron’s card. Yet, Schulz chances to replace Merkel come September currently seem rather low. It will, thus, most likely depend on Merkel to decide the success of a renewed Franco-German alliance. Either she compromises on her party’s past eurozone policies allowing Macron to achieve reforms that could stabilise his government, or she continues to block further eurozone integration, thereby decisively weakening France’s last strong pro-European politician. Neither option is attractive, but she will have to decide.